Im letzten Post habe ich ja bereits erwähnt, dass ich in die Kombination von blau und grau momentan total vernarrt bin. Und hier kommt gleich der erste Beweis. Dieses Outfit habe ich-wie der Titel erkennen lässt-in Toronto getragen. Die grauen Shorts, welche eine tolle Alternative zu den altbewährten blauen Denim-cutoffs sind, habe ich kombiniert mit einem meiner liebsten Oberteile von Hilfiger- steifen und spitze in einem Kleidungsstück?! Yes please :) Damit es bequem ist runden meine silbernen Supergas den Look ab. Unglaublich, dass ich sie erst in meinem zweiten Post zeige. Dabei trage ich sie, neben meinen weißen Chucks, fast ständig. Die Fotos sind übrigens im Hafen von Toronto entstanden, direkt am Ontario See. Sogar ein kleiner Strand mit Schirmen und Liegestühlen wurde hier aufgebaut- und 200m weiter standen schon der CN Tower und andere Hochhäuser. I already mentioned in my last post that I really like the combination of blue and grey lately and here is the first proof. I wore this outfit in Toronto-as you can see in the title already. I combined these grey shorts, by the way a great alternative to regular blue denim cut offs, with one of my favorite tops from Hilfiger- stripes and lace in one garment?! yes please :) Since we were walking all day long, I added my silver supergas. 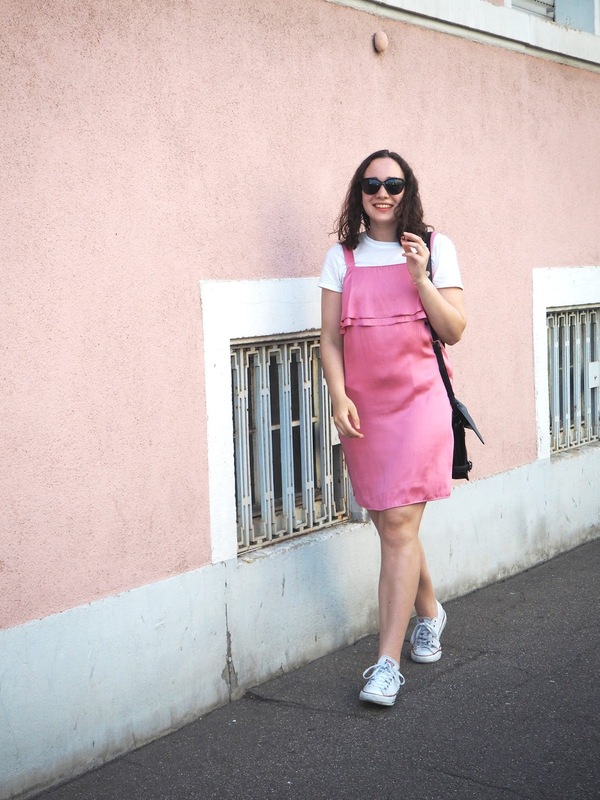 Incredible, that it´s only the second time they make it up on the blog as I´m wearing them, together with my white converse, basically all the time. We shot these photos at Toronto´s waterfront, right next to the Ontario sea. There was even a little beach with some beach chairs and umbrellas- and 200m away from it, you can find the CN Tower and other skyscrapers.